A new Form 1040 will be used starting with tax year 2018. 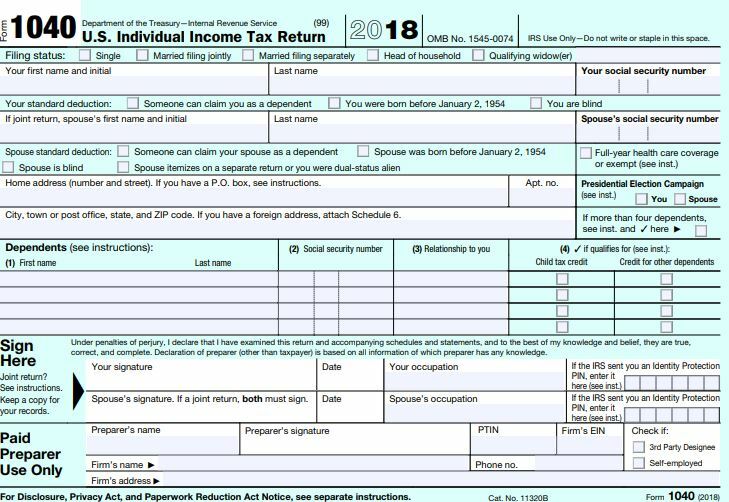 As part of a larger effort to help taxpayers, the Internal Revenue Service plans to streamline the Form 1040 into a shorter, simpler form for the 2019 tax season (tax year 2018). The new 1040 is about half the size of the 2017 version and will replace the 2017 Form 1040. Forms 1040-A and 1040-EZ are discontinued starting with Drake18, per IRS guidelines. The IRS has released a draft of the new form and will work with the tax community to finalize the streamlined Form 1040 for use in tax year 2018 filings. This new approach will simplify the 1040 so that all taxpayers can use the same base form to determine their tax liability or refund. The new Form 1040 uses a “building block” approach, in which the tax return is reduced to a simple form that may be supplemented with additional schedules, if needed. Most taxpayers with simple tax situations would only need to file the simplified Form 1040 with no additional schedules attached. See Related Links below for more information about six new schedules, as well as changes to the other schedules (A, C, E, K-1, etc.) and forms that can be expected. 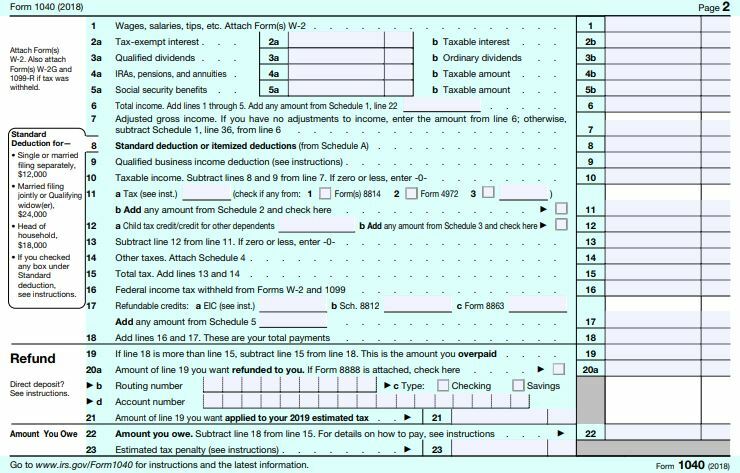 The IRS has requested that both pages of Form 1040 be printed on a single piece of paper, thus there will be no setup options that will be used to change how the pages will print in Drake18. Many other changes to the forms and tax code are being implemented for tax year 2018 due to the Tax Cuts and Jobs Act. At this time, the IRS has released drafts of most forms and instructions. Additional changes will be published as IRS finalizes the information. Note that some states are not conforming to the 2018 changes to the deductions and form limitations. To see all articles related to the upcoming changes, see the browse category Drake 18 Changes.